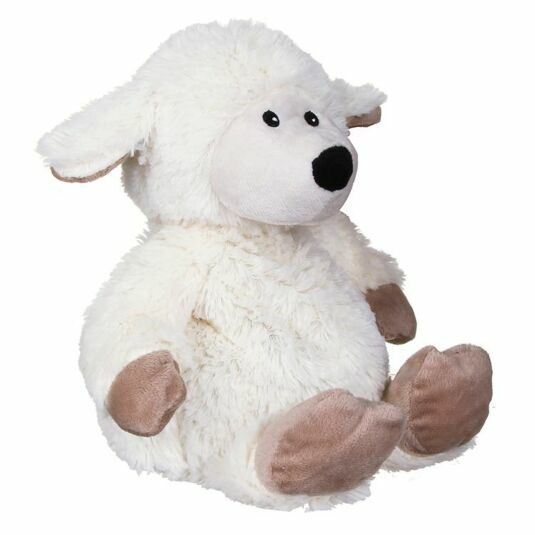 This gorgeous sheep has white soft fur and a rather full tummy, but that’s what makes him extra cuddly! He has a cream nose, hands and feet. Inside that full stomach is treated millet seeds and dried lavender, simply pop him in the microwave and cuddle away! 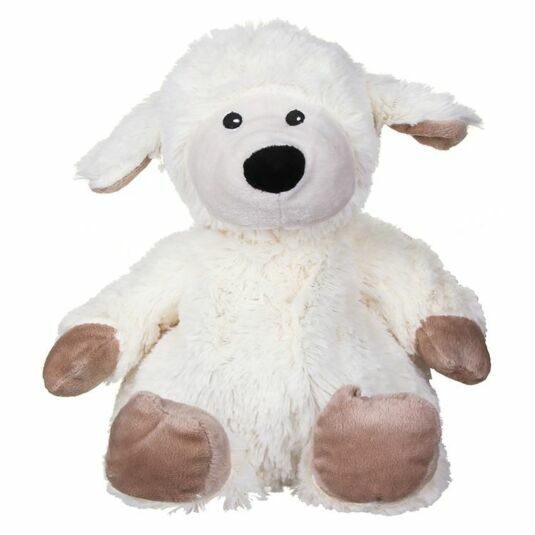 With soft silky fur and a warm lasting fragrance, this cute bedtime companion is the perfect partner for relaxation and sleep. This silky soft monkey is an adorable gift for animal lovers of all ages, at Christmas and for all occasions, including birthdays and housewarming. Not suitable for children under 3 years old due to the heating nature of this product. Please read instructions on packaging before use. This product conforms to British Safety Standard BS8433:2004 and has detailed heating and care instructions on the packaging and product covers.